During the Yuan dynasty, China became a part of the Mongol empire. 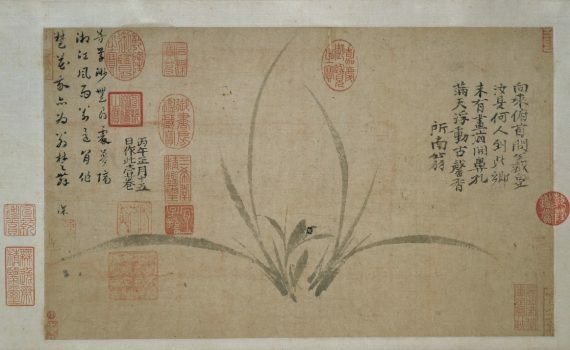 Zheng’s precise calligraphic strokes lend vitality and movement to these delicate flowers. But are they rootless? Dragons! Elephants! A phoenix! Many motifs cover these tall vases, but it’s the inscriptions that date the pair. This enormous Buddhist wall painting exemplifies an important format of Chinese painting rarely seen in the West. Unroll this handscroll and experience a spectacular panorama of rounded mountains, lush trees, and flowing water.